A village found in Palm Beach County, Royal Palm Beach has a population of about 37,000 residents. It's a part of a much larger metro area with more than 5.6 million residents throughout the area. The large population fills the roadways and it's joined by millions of annual visitors coming to the area for the attractions and events. When mixing residents with visitors, it's a recipe for dangerous roads. Each visitor comes along with a unique driving style and they are often unfamiliar with the roads. The area also receives many transplants from other parts of the country every year, which only escalates the issue. Most visitors coming to the Royal Palm Beach area will use Interstate 95 and/or Florida's Turnpike. The Florida stretch of I-95 is known as the most deadly in the entire country. Over 189,000 vehicles travel on I-95 in Florida every single day. Most of the car accidents happening in Palm Beach County include an injury. Every year, about 1,000 alcohol related accidents happen throughout the county. Nearly 15,000 traffic accidents happen throughout the county every year and many more throughout the metro area. Traffic stats for the metro area have been on the rise for many years. Without someone to enforce traffic laws, the accident stats would be off the charts. Throughout 2015, officials in Palm Beach County issued about 127,000 traffic tickets. Over half (66,000+) were issued for speeding with another 7,600+ for careless driving. Judges only dismissed about 15% of the tickets, which means getting out of a ticket isn't easy. Points can rack up very quickly and you may just end up losing your license for 30, 90 or 365 days. The suspensions start at just 12 points in a 12 month period and go up from there. 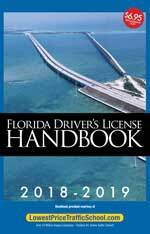 If you get 24 points in 36 months, you will lose your license for an entire year. Plead guilty or no contest to the ticket and pay the fine. Tell the clerk of the court you will be enrolling in traffic school online. Enroll and take the basic driver improvement course online. Complete the course and get your certificate of completion. Turn the certificate into the clerk of the court. That's all it takes and you can erase the points from your most recent traffic ticket. 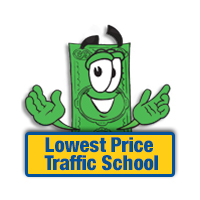 The State of Florid will allow you to use traffic school up to five times in your lifetime. You can take the course once every 12 months, if necessary. If you haven't taken the course five times or in the past 12 months, you can enroll and use traffic school to avoid points on your license. Traffic tickets issued in Royal Palm Beach will be processed and handled by the Palm Beach County Clerk of the Court. They will take your payment and handle all information pertaining to the ticket. Find out more about the Palm Beach County Clerk of the Court by visiting their website.